Hailing from Minnesota, an annual pilgrimage to the great state fair was a signature event growing up. I remember the excitement building as the entire family piled into the car and drove to the fair. The two most challenging aspects were finding a place to park (typically on the front lawn of an entrepreneurial homeowner) and deciding where to begin our adventure. Although New York holds the distinction for hosting the first state fair in the US (held in 1841 in Syracuse), the Minnesota State Fair has a rich history as well. Beginning as a territorial fair (moving location each year) for the first 4 years, the first official Minnesota State Fair was held in 1859, one year after Minnesota was granted statehood. 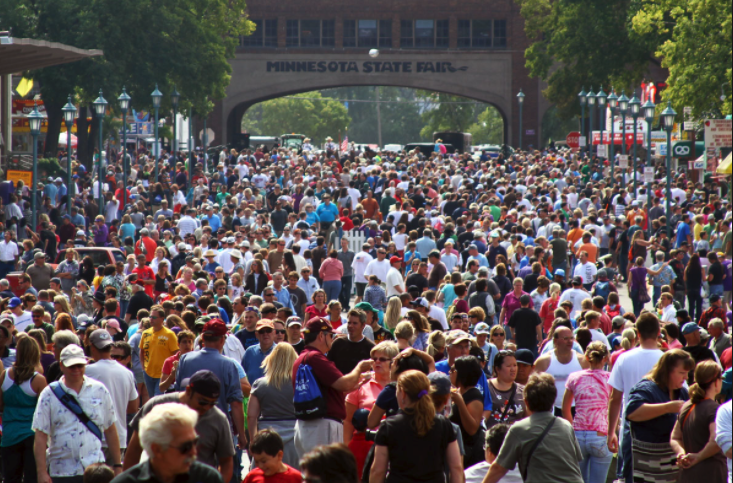 On the heels of Texas, the Minnesota state fair is the 2nd largest with respect to attendance (almost 2 million visitors). For those who are not familiar with state fairs, early fairs were dominated by agricultural exhibits and competitions with the intention of encouraging farming in the state. 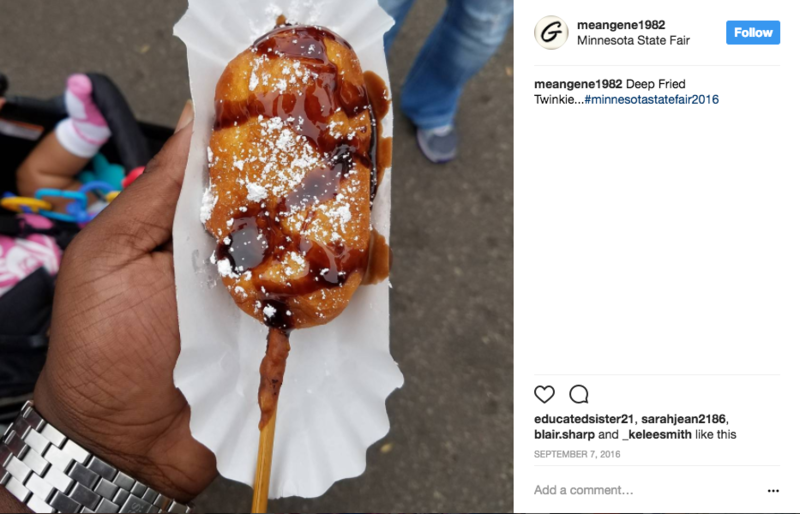 While agriculture is still the primary focus at the Minnesota State Fair, the scope of activities has broadened to include large-scale entertainment features, technological and industrial exhibits, as well as education and government organizations. Key attractions during our family excursion always included the 4-H barn, dairy barn, and the Midway. 4-H is a staple of the rural Midwest. It is a youth development organization encouraging children to learn by doing. It was always a treat to peruse the jewelry, sewing projects, writing, knitting, and artwork that was entered and judged by people throughout the state. 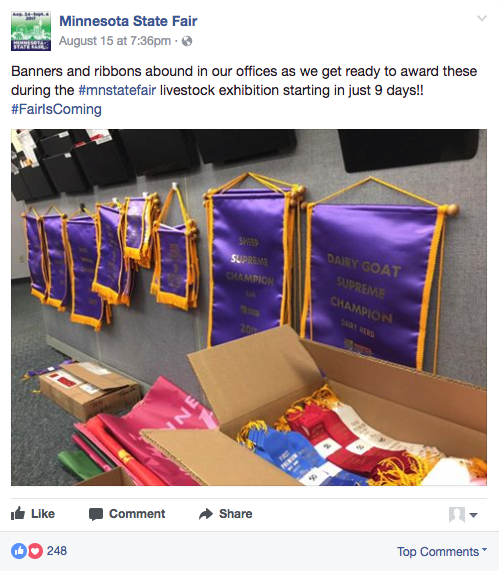 The path to the State Fair including winning a ribbon at a local county fair before competing at the state fair. For example, my mom won first prize at the Sherburne County fair for a hand-crocheted table cloth and placed second at the Minnesota State Fair in 2001 (yeah mom!). The Dairy Barn (now called the “Moo Booth”) is a unique attraction at the Minnesota State Fair. 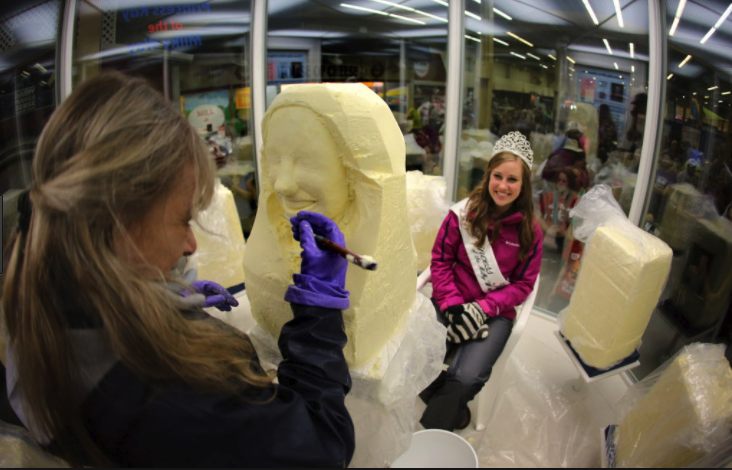 In it, you have the opportunity milk a cow by hand, watch the butter carving contest (in a refrigerated room, contests carve figures in butter using live models), and stand in line for the best chocolate milk shake around. Towards the end of the visit, we always found ourselves on the Midway. Nothing compares to it. There, you will find over sixty rides, all variety of entertainment, and every food imaginable deep-fried and eaten on a stick. Rides include the Great Big (Ferris) Wheel, a water slide, a haunted house, and the Viper, to name a few. 2017 new attractions include Dress a Sheep Contest and The Great Minnesota Knit Together. And of course, no visit is complete without consuming deep-fried corn-on-the-cob (on a stick), a deep-fried pickle (on a stick), a bucket of chocolate cookies, or deep-fried cheese curds (not on a stick). If you can’t attend in person, follow the great state fair though social media (below). If interested in learning how to showcase an event in your community via social media, please complete the Crowdynews contact form.